Technology is the future of mankind, where robots have replaced the man in the workforce. And the future is here now. With the advent of Robotic Process Automation (RPA), the era of digital transformation has started, where automating the business process is replacing humans with software. As of now, it’s the human who runs the technological applications but with RPA, the software will run another digital application. The manufacturing process has become robotized, now even business processes are following this suit. 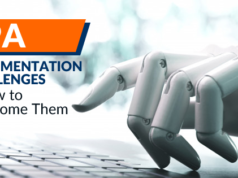 In this article, we will have a detailed introduction to RPA (Robotic Process Automation) and Blue Prism, the most popular Robotic Automation Software Platform. Let’s understand RPA first. The business process requires human intelligence to run one or more applications that are required to complete a task, instead, we now can rely completely on RPA to do a similar task with greater efficiency, at a larger scale, error-free and at a lower cost than having a human employee. Also, Robotics Process Automation is more cost-effective and easier to use than application programming interface (API). Like people RPA uses user interface, thereby requiring nominal technical knowhow and lesser dependence on IT, as many important components of business logic is implemented in the user interface, thus, it is beneficial than using API. The UK based IT company that is also acknowledged for coining the term RPA or robotic process automation, is Blue Prism. RPA Blue Prism is the future, so let’s go through the introduction to Blue Prism first. There are a number of RPA tools available in the market but Blue Prism has a greater market value since they are the pioneer of this technology. So, if you are looking to learn robotics, you should have a working knowledge of Blue Prism RPA. With the plethora of advantages, blue Prism is often the first choice of businesses. It aims in providing automation to enterprises by offering a robotic workforce which is scalable, easily configurable and centrally managed. RPA Blue Prism offers enhanced sophistication and greater credentials. So, if you are looking to learn robotics, then think no further but move to Blue Prism. Blue Prism RPA is probably one of the greatest technological boons of the 21st century. With the humungous volume of data generated and higher customer demands, efficiency and the quantity of work has become integral in the workforce. And the solution to this mammoth task at hand is- RPA Blue Prism. The software mimics the employee action but can function without tiring round the clock to perform complex tasks with greater fortitude. They can execute a similar task on the rot and each time give the same level of results. As it is cost-effective, Blue Prism RPA over API has become the numero uno by organizations. Blue Prism is a set of tools and libraries for RPA. It has two basic components- business objects, which interact with the user interface and the logic that runs the robot, called process. To work with a new tool, it is important to understand its functionalities properly. Since the viability of RPA Blue Prism is on the rise, having a good grasp of the blue prism technology has become mandatory. The basic parts of the blue prism are Business Objects and Process. It is adapted to use user interface for a specific application which constitutes of 2 parts: an application model and one or more actions. Blue Prism provides a number of libraries that allow the application interface to use a variety of approaches, called modes. These options are an HTML mode, a Windows mode, a Java mode, Mainframe mode, and Citrix mode. Blue prism has a development tool, referred to as Object Studio creates object graphically. Every action is generated containing several stages that begin with the Start page and terminates with End page. There can be several intermediary stages, some instances of common stages used are read, write, navigate, link, loop, recovery, resume, alert, etc. It acts like a human user and incorporates the robot’s logic. It contains several pages and always has the execution page as the central page. 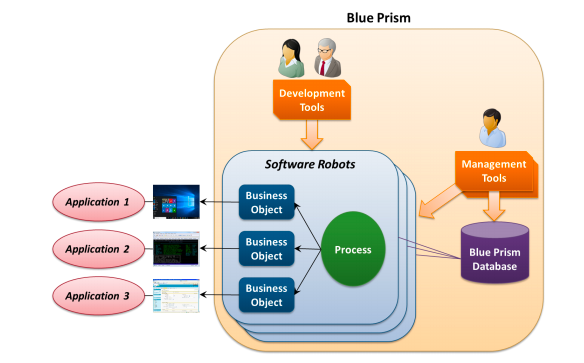 Blue prism has a development tool known as Process Studio, which graphically charts the function of a robot. Thus, RPA Blue Prism functions without any written code. It uses a SQL server based program to store business objects, processes, and other information. The management tool can be used to schedule a robot’s run, view information, configure users, view audit logs, and several other management functions. The Interactive Client (IC) is an important tool that helps all Blue Prism users. After the initial setup by IT, RPA blue prism can be easily managed and modified by other employees. Time-Saving – When the same task is being performed by a human and a robot, a robot completes the task in less time. So, more tasks can be performed in lesser time duration by the use of RPA. Return on investment is more – The overall cost in RPA is much less than hiring a human employee. Greater task output is evident as robots can function 24/7 and there are no financial perks involved, as in the case of humans. Customer satisfaction – The objective of any industry is a satisfied client base. Humans even when cautious, can make errors, which is not the case with RPA. Thus, quality and error-free work is produced to provide 100% customer satisfaction. Simple, flexible, and easily adoptable – RPA doesn’t require any kind of coding, thus, it can be easily worked upon. Additional IT help isn’t required to run RPA, therefore, there is greater ease in working with this technology. Greater security – Often the organizations outsource work to external agencies, which can pose a risk to the privacy and financial policies. This can be controlled with the use of RPA. Value-added work for employees – Instead of working on mundane tasks, employees can be channeled into more productive and mentally satisfying work. Analytical feature – Robotics Process Automation has additional analytical feature, which helps to make judicious decisions. Robotic Process Automation Blue Prism technology has several advantages such that increased efficiency, improved accuracy, lower operational cost, elevated CX, richer data analytics, higher employee productivity and satisfaction, easier and agile process design and faster time to market. All these factors together have catapulted to the increased market demand for Blue Prism. 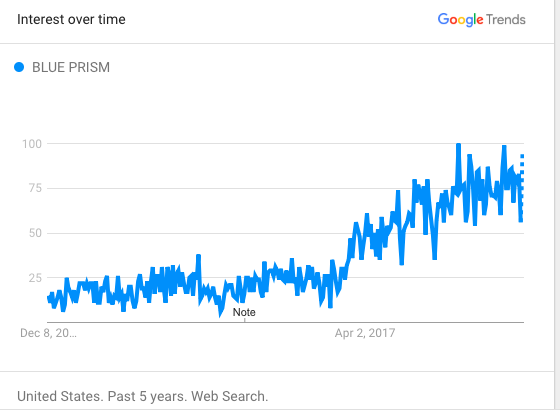 Google Trends also shows an uprise in the market demand for Blue Prism. When implementing any new technology, the organizations look at the financial benefits, and RPA Blue Prism provides value for money. You can cut back on employee benefits when using robots; also their work output is of superior quality and continuous as compared to humans. Thus, we can safely assume that the market demand for the blue prism is on the rise and that the growth curve would remain unabated. Among the RPA tools available in the market, RPA blue prism hogs the market share as the pioneer. As of the end of 2017, it had a 100% renewal of existing clients and the addition of newer client in every quarter. As per market prediction, the automation market is estimated to reach 600 million US dollars by the year 2020. RPA blue prism is the future, and there are massive job opportunities in this domain. The RPA blue prism salary for a fresher RPA developer in the year 2018, is approximately around 2 lakhs per year, according to Glassdoor. The salary increases with years of expertise that an individual possesses. The latest survey by Quora has shown that the demand for RPA Blue Prism professionals is on the exponential rise. The opportunities in Robotic Process Automation Blue Prism are tremendous, and it is what will define the coming years. The job positions available are that of a developer, project manager, solution architect, Business analyst, associate and process consultant. In the next 5 years, it is estimated that there will be a million job opportunities, thus, it is important to have a professional recognition of your skills and that can be obtained by boosting an RPA blue prism certification course. Apart from fresh graduates, many professionals are looking to switch career to the RPA industry, not only for the good pay but also for the vast scope that it provides for an individual’s professional growth. Blue prism has global recognition, thus, there will be no dearth of opportunities in RPA Blue Prism jobs. Basic IT skills, which will make it easier to comprehend and implement blue prism RPA. Cognitive flexibility, creativity, logical and mathematical reasoning, sensitivity towards solving problems and finally the ability to visualize the process at hand. Some basic content skills include active learning, comprehension and oral expression, and written expression. The necessary technical know-how includes equipment maintenance, programming quality control, troubleshooting and technology, and user experience design. Several RPA Blue Prism certifications are available, and if you are looking to make a successful career in blue prism RPA, then enroll in a course that suits your requirement. Preparing for Blue Prism Developer certification? Read this Blue Prism Developer preparation guide to prepare and pass the exam. When applying for jobs, employers look for people who are professionally trained. By having blue prism certification, you can ace the task at hand and have access to the latest technology and tools introduced. By obtaining training in the blue prism, the developers have an in-depth knowledge rather than an uninitiated peer. Certified professionals have an edge over others, and they are more easily employed. So, the investing in blue prism certification course gives a good return and is extremely valuable in giving the necessary boost to your career. If you are looking to switch jobs, whether you are professional in Artificial intelligence, or data analytics, or in any other engineering field or even in any other industry, by simply opting for a Blue Prism certification course, you are on your way to becoming a successful RPA professional. Blue prism certifications allow you to get the best jobs available. 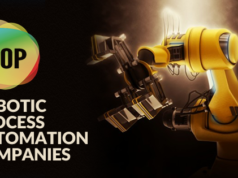 A number of organizations are switching to RPA every year and among all the software available, Blue Prism is the best and most sought after by the employers. Since its inception, RPA has taken over globally. Among all the players in the market, Blue Prism which is often considered the pioneer is the market leader. The misconception that RPA will lead to loss of the job is wrong. Instead, it would help employees to get deployed in the fields that they are more interested in. Robotics is the future, and it is not a new concept but extension of existing technologies like Artificial Intelligence and others. RPA has an extensive impact on the organizations that implement it as the work can be done faster at minimal cost. 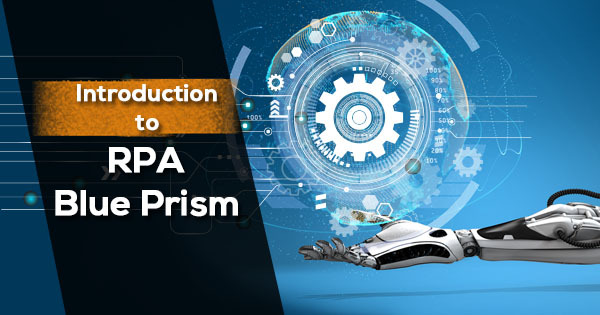 Blue prism comes to play in such situations, with the product’s primary goal is to provide the necessary tools that have a significant role in RPA. Every technology has its own set of advantage and disadvantage. But in the case of RPA blue prism, the pros overshadow the cons. When software works on such a mammoth scale, in a manageable manner, and with high security, no other technology comes even close to it. When applied in the right scenario, RPA can have a tremendous effect on the work output. Embrace the future, and get ready to certified in RPA blue prism. it will help you excel in your career and also have a potential advantage for your employers. Whizlabs practice tests series for Blue Prism Developer and Blue Prism Professional Developer certification exams have been designed in such a way that you will be fully prepared and pass the certification in the first attempt. Join Blue Prism training without delay, and give a flying start to your career. Have any query or doubt about RPA Blue Prism technology, just put a comment below or write us at Whizlabs Helpdesk and we’ll respond to you in no time. 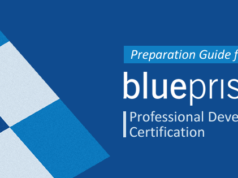 How to Prepare for Blue Prism Professional Developer Certification?